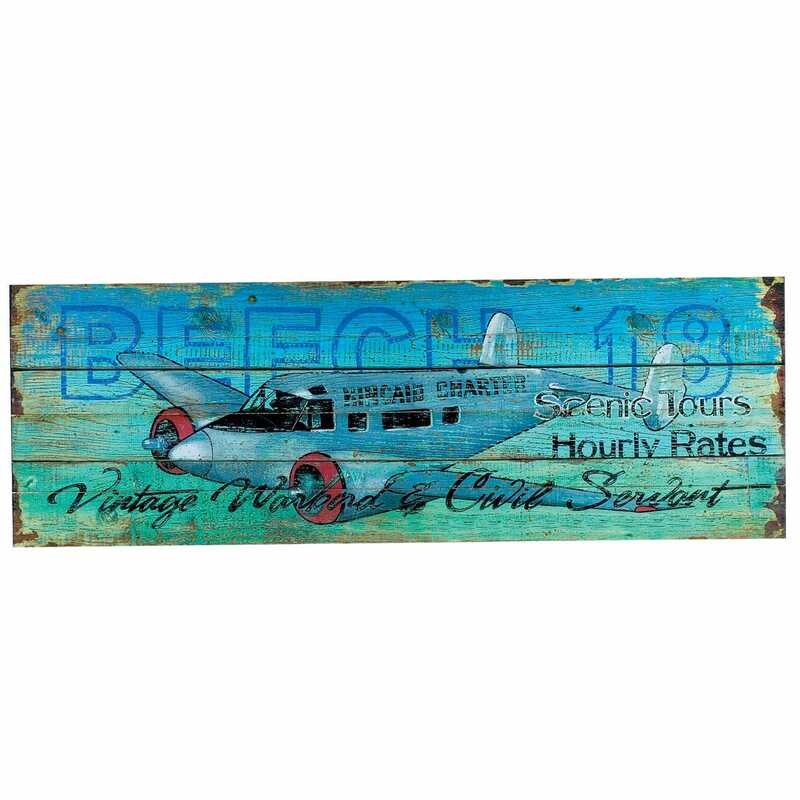 These Rustic Aviation Signs are printed reproductions taken from hand painted originals which are then applied directly to distressed wood panels giving them an antique appearance. The Beech 18 sign features a Kincaid Charter in flight. Measures 11”h x 32”w. I love this sign. I got it for my husband for Christmas (Air Force veteran 3rd generation) I know it will be universally loved by the whole family. It is gorgeous!